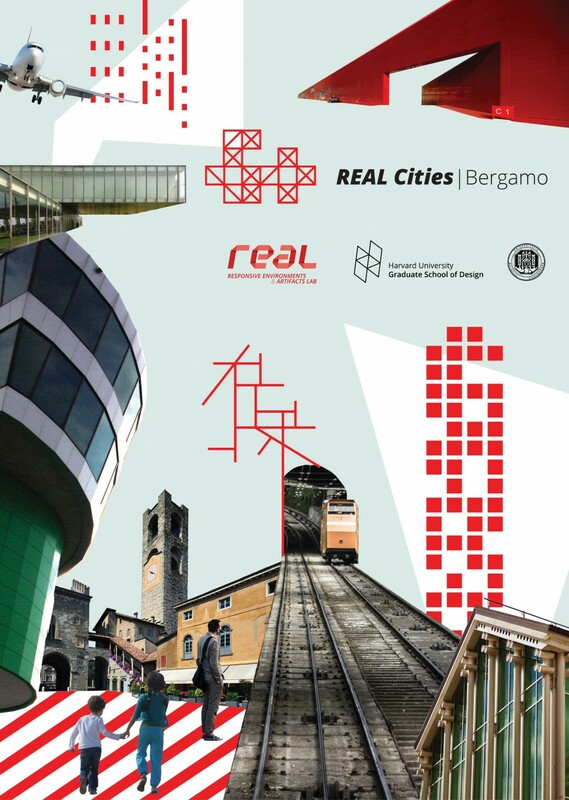 The “REAL Cities | Bergamo 2035” research and teaching initiative is a multi-tier, multi-year academic collaboration between the Graduate School of Design (GSD) at Harvard University, USA, and the University of Bergamo (UNIBG), Italy. The initiative is an integral part of the Responsive Environments and Artifacts Lab (REAL) at Harvard GSD. REAL employs a design-led approach with a close contribution from social sciences to understand and assess how new technologies and digital augmentation affect different aspects of the city ‒ the infrastructure, the operations and the people ‒ and make it smarter. The research assumes that the inner intelligence of a city starts from its community and its built environment, and technology, tools and digital infrastructures augment what the specific community has to offer. Putting the human being at the center and forefront, researchers at REAL and UNIBG investigate how new technologies can emphasize the qualities of the city in order to enhance the relationship between the individual and the urban environment, eventually creating new and mindful experiences for citizens within their everyday life. © 2018 The President and Fellows of Harvard Colleges. All Rights Reserved.